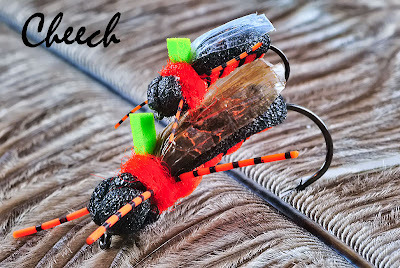 One of the last things that come to mind when attending the annual Wasatch Fly Fishing Expo is the “Largemouth” which is characterized by a lower jaw that extends behind the eye when the mouth is closed. 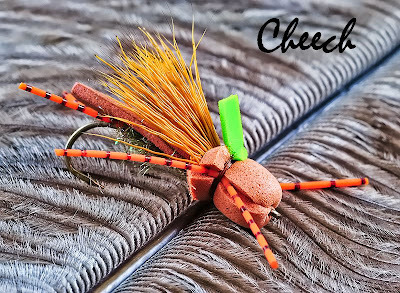 Nevertheless, Cheech was in attendance and nestled tightly into the classic structure of an ambush hunter: Mountain Dew and vertically growing Crystal Flash. 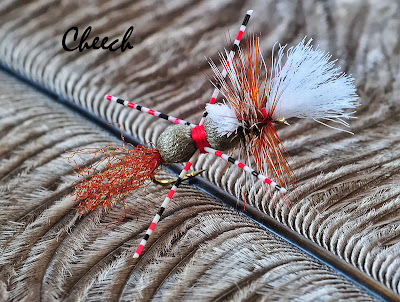 Cheech is one of the most innovative and talented local fly tiers around, and has already become a Rainy’s innovator with such patterns as the Grumpy Frumpy. 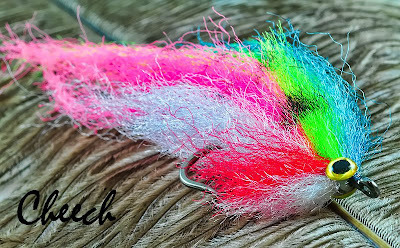 Check out his blog at http://flyfishfood.blogspot.com/ and be prepared to see his sick ties in a pro shop near you. I had the chance to photograph some of his work this week, and below is a preview of what you’ll be seeing on his site in the near future. 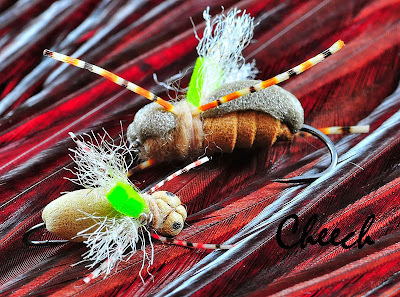 Contact him for the best vice droppings available, and don’t be too alarmed if the flies smack of smelly jelly, Yamamoto Senko worms, and Berkley GULP minnows. Just lather, rinse, and then repeat. Thanks for the pix man. You got some mad skills with the camera. Now back to shooting for GQ. I dig the blog man. Solid work excellent photography. You mind if I add you to my Blog Roll? Pat: Thanks! It would be great if you would add me to your blog roll, I've posted a link to your site. Nice work!